So, why not to take advantage of some modern tools and plugins that can handle this for you on autopilot? The plugin that shares your new and old articles on social media automatically. You need to set it up when you first install the plugin, but from there it handles things for you on its own. Revive Old Post has lots of great features that allow you to carefully share certain articles at certain time intervals. 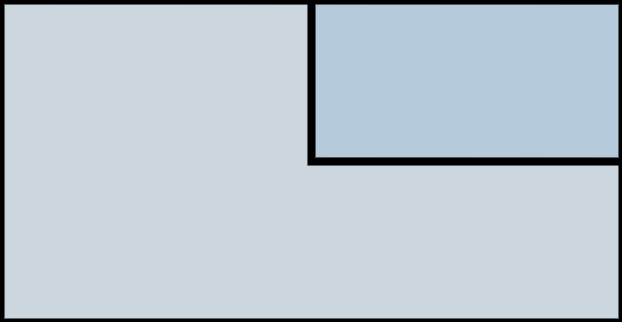 the format of the posts, and more. You can also create a custom scheduling and track the traffic generated via this plugin in Google Analytics. Revive Old Post is a true hands-off solution, which means that you only need to set it once, and you’ve all this social sharing stuff covered. It works for Twitter, LinkedIn, Xing, and Tumblr. Apart from sharing your own work, you can now share valuable content from other sources too. Revive Network helps you do that automatically. Add your social media accounts, copy the RSS feeds of the blogs you want to share articles from, and set the times/intervals for auto posting. The Revive Network plugin was built for Facebook and Twitter and lets you add as many blog feeds as you want. You can also customize the text that comes with each shared article and permit tracking through UTM links so the sites you’re sharing content from see you as the referrer in Google Analytics. In short, Revive Network automatically posts content from other blogs/sites onto your social media profiles, with customized text, mentions/tags, and UTM tracking links, as often and at any hour you want – everything according to your preferences. This plugin helps you synchronize your blog posts with social media messages. It provides a calendar where you can pick the optimum days and hours to schedule your posts and shares. The calendar can be easily customized through color coding and drag-and-drop options. CoSchedule offers lots of social media networks where you can share your posts: Twitter, LinkedIn, Google+, Buffer, Tumblr, and Pinterest. They also give you access to detailed analytics reports of all your social media profiles. A free plugin that comes with lots of social media network integrations. It lets you share both new and old posts by automatically re-publishing them on your channels. It also auto-imports comments and mentions from social media as WordPress comments. You can choose what stuff to publish, what not to publish, and when to publish. Set these options in a few clicks, and NextScripts will do the rest for you. If you want specific hours and days, you can also schedule or delay your posts. A premium plugin that auto-shares your website content on social media. With this plugin everything is very simple: (1) set your social media profiles where you want your content to be shared, and (2) choose the content that needs to be auto-posted. The plugin allows you to configure unlimited accounts, so if you have three Facebook accounts, you can use them all. It is, however, limited to Facebook, Twitter, LinkedIn, and Tumblr. You can set the format of the posts, enable/disable auto-posting for specific articles/pages/categories, set auto-posting for new articles, and do many other cool things with this app. Blog2Social is a premium plugin that can connect with several social networks including Twitter, LinkedIn, Pinterest, and even some more unusual platforms like Medium. There is a free version of Blog2Social, but you must sign up for a paid plan to access full scheduling capability. That said, Blog2Social can do almost anything you need. You can use it to easily create posts that match each social media network’s specifications, schedule those posts, automate repetition of those posts, and track the success of your automated posts to each network. Nelio Content features a full editorial calendar as well as scheduling and auto-posting features, allowing you to see all of your scheduled content at a glance. It also comes with a virtual “content assistant”, which automatically suggests content marketing strategies like properly tagging posts and linking between articles on your blog. Nelio Content is compatible with Facebook, Twitter, Google +, LinkedIn, and more. 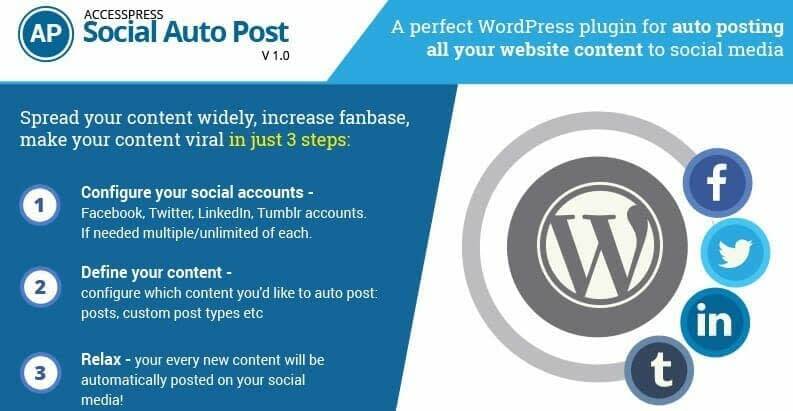 Another premium WordPress plugin for auto-sharing, which comes with completely automated posting processes. You can customize everything about this plugin because every detail related to your traffic matters. The plugin is flexible, it lets you auto-publish new posts and also the older ones. It works for any format: post, page, custom post type, and even e-commerce products. It also provides custom scheduling, if you have favorable posting days and hours. The plugin can be used on multiple social media accounts, and is compatible with Facebook, Twitter, LinkedIn, Tumblr, Instagram, and Pinterest. This plugin lets you auto-publish your new posts on social media and re-share your old ones. Plus, if you have many accounts on the same social network, you can use them all. Also, you can filter the posts by categories and follow the logs to monitor the auto-posting process. Additionally, Microblog Poster works on WordPress multisite if you activate it for each sub-blog. Fans of the regular Buffer scheduling services will be pleased to discover their premium auto-posting app. It offers custom scheduling for both new and existing content. It also features an automatic image resizing service, transforming all featured images to each social network’s ideal size, and a global time calculator that lets you post at optimal times for international audiences. Buffer HYPESocial works with LinkedIn, Twitter, Google+, and Pinterest. 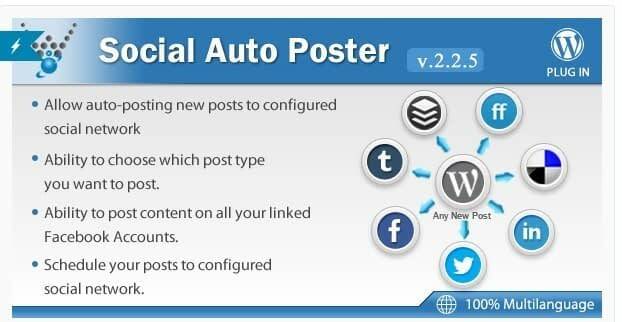 So that’s it for our set of the top WordPress plugins for social media auto posting. Did we miss anything? The plugin has the option to Include or Exclude specific categories. But when I INCLUDE a category, it still selects posts from all categories. Can I select to ONLY revive old posts from a specific category? I see. A good solution could be to exclude all the categories excepting the one you want to use. I tried that: the issue all our posts are in multiple categories (which is how we need it), so when I exclude all other categories except the one I want to include, the result is the posts I want to include are excluded too! Hi Catherine! Sorry for the late reply. I really don’t know why it doesn’t work for you. I tested it myself (I included and excluded posts from various categories) and it works the way it should. Maybe remove the plugin and install it again. It has to work. I just installed nextscripts. It works the way I want. Thanks for sharing. This is an informative article. Thanks for sharing. All of these plugins are playing vital role in the case of social media marketing. Within a very short time you can bring the maximum output from these plugins. Thanks a lot for sharing. Have a good day!! most of the plugins are premium plugins, i want to try nextscripts, hopefully it works or is there anyone you can recommend that isn’t premium? And there are other free plugins in this list as well. Revive Old Posts is an awesome plugin. Can you please add just one more feature to enable Buffer? As your plugin does not support posting to Google Plus, while with Buffer it will be able to post on Google Plus Pages as well. Looking forward to see your positive response. Hey Hasan, glad you like ROP! The G+ feature is currently not on our roadmap. In what country is your target audience? Waaw.. Nice list of autosharing. I used SNAP Autoposter on my website Graduate Digital free version. But in free version you can’t share to multiple social networking sites and each account you need to configure, create app account. Its not very good, but if you are looking for free social autoposting on facebook page, twitter, linkedin, pinterest, tumbler, delicious then its fine. I am looking for free social autosharing plugin, who can share my link on facebook group and pages, twitter, linkedin, pinterest, instagram, flicker, google+, digg, tumbler, delicious, and other social bookmarking sites. Please let me know. Do you have any recommendations for a plugin to share products from an ecommerce store. I love the idea of Auto products poster but I cannot activate it on any websites as it triggers a fatal error. Any other plugins out there? Hi! Does ROP work with godaddy hosting plan? Yes, ROP should work with any WordPress site, regardless of the hosting plan. Revive my post in Facebook and WordPress. Hi Sabina, I recommend Post Auto Share for social media auto posting built by us. Share the relevant posts, contents of your website and products onto your social media pages along with images and custom content (enabling SMO- Social Media Optimization). Thanks for this useful info, can this plugin able to share page instead of post, because on my website 10hotdeals.com, I am facing many problem regarding it. Does anyone know the answer please help! GOOD COLLECTION FOR MORE ABOUT BLOGGING AND HACKING VISIT MY BLOG. Want to give this a go and see how well it works. 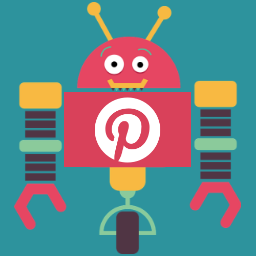 Our Lemonade Social Networks Autoposter: Pinterest WP plugin was created specially for Pinterest. Before I install and experiment with your apps are you able to tell me how your app such as Revive Old Posts is able to post to Facebook under the new rules and reduced abilities Facebook recently put into place? Blog2Social is no longer free it seems. Without a payed license you can share 0 posts per day, the plugin tells me. Also some of the others are no longer usable either as most social media platforms no longer give out API keys for normal people. And as this is a post of 2018 … are all plugins above GDPR compliant? There’s no word about it. Hey Birgit, thanks for the heads up, we’re updating the info as we speak! As for GDPR, these plugins do not interact with users’ data in any way so there’s no need to take any measures. FS Poster is the best WordPress auto poster plugin now. In the near future you’ll be able to use RSS feeds that represent your tweeting schedules so your publishing reach can be extended through services like Zapier and IfTTT. I agree. Eventually, I think the number of tools available will shrink. There’re fewer fish in the pond and the tools will start to feel the effect soon.